Gary Sheinbaum ’79 will speak on Thursday, September 22 at 7 p.m. in Trout Auditorium. All are welcome to attend. Gary Sheinbaum is Chief Executive Officer, Tommy Hilfiger Americas, a role that he assumed in September 2014. In this role, Gary leads the North American business, as well as oversees Tommy Hilfiger’s Latin America operations. Previously, Gary served as Chief Executive Officer of Tommy Hilfiger, North America beginning in 2009. Since joining the company in 1995, Gary has worked in various capacities including President of Specialty Retail, President of Retail Development for the U.S. wholesale business and Group President, North America for outlet, specialty, retail and e-commerce. 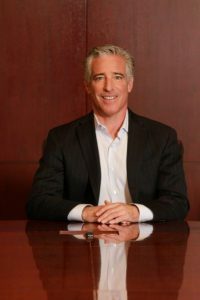 Prior to joining PVH, Gary was the President of J. Crew Retail for five years. Pervious to J. Crew, he was the Managing Director of Polo Mansion on Madison Avenue. Gary spent the first eight years of his career at Macy’s New York in a variety of store line and buying positions. Gary graduated Bucknell University with a Bachelor of Arts in International Business and Spanish. He serves as a Board of Director of the Fashion Institute of Technology (a SUNY institution). Press Here Publicity seeking Summer interns in New York & LA offices.